Cornell has drawn upon a wealth of experience in nature education to significantly revise and expand his original book. New nature games-favorites from the field-and Cornell's typically insightful commentary makes the second edition of this classic even more valuable to nature lovers world-wide. The Sharing Nature movement that Cornell pioneered has now expanded to countries all over the globe. Recommended by Boy Scouts of America, American Camping Association, National Audubon Society and many others. 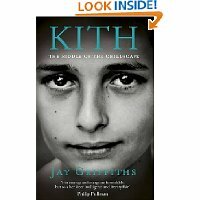 While travelling the world in order to write her award-winning book Wild, Jay Griffiths became increasingly aware of the huge differences in how childhood is experienced in various cultures. One central riddle, in particular, captured her imagination: Why are so many children in Euro-American cultures unhappy -- and why is it that children in many traditional cultures seem happier? In Kith, Jay Griffiths explores these questions and many more. Moving from communities in West Papua and the Arctic to the ostracised young people of contemporary Britain, she asks why we have enclosed our children in a consumerist cornucopia but denied them the freedoms of space, time and deep play. She uses history, philosophy, language and literature to illustrate children's affinity for the natural world and the essential quest element of childhood. Last Child in the Woods shows how our children have become increasingly alienated and distant from nature, why this matters, and what we can do to make a difference. It is unsentimental, rigorous and utterly original. Camping in the garden, riding bikes through the woods, climbing trees, collecting bugs, picking wildflowers, running through piles of autumn leaves...These are the things childhood memories are made of. But for a whole generation of today's children the pleasures of a free-range childhood are missing, and their indoor habits contribute to epidemic obesity, attention-deficit disorder, isolation and childhood depression.